Our list of five things to know about termites, including where termites can be found in our area, how to detect termites, and how much it costs to get rid of them. 1. Where can termites be found? 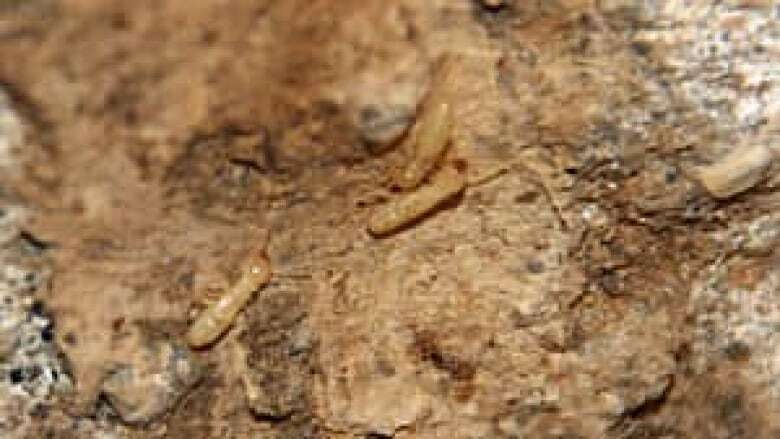 "There are, I believe, over 30 localized areas in Southern Ontario with subterranean termites known," according to Mark Reynolds, the technical director of the wood-boring insect division of Cambridge-based Tepeco Consultants. "Some of the areas that are well-known are Guelph, in Toronto along the lakeshore, the Wellington [County] area," he said. Reynolds said termites exist in Kitchener, Cambridge and Waterloo as well, however, only in localized areas. 2. How quickly do termites spread? "That's very hard to tell. They do spread perpetually, but when it makes big jumps, that's usually people transporting infested wood, be it fire wood or mulch or old scrap wood, or even railway ties, wooden retaining walls, that sort of thing," Reynolds said. "Once or twice a year the colonies will produce flying termites, which can then spread the colonies further," he said. "They can spread colonies across the street or from home-to-home, just like ants." When looking for termites, experts recommend starting in the basement. They can slip between hairline cracks as small as the width of a sheet of paper. Reynolds said if your neighbours discover termites, you should definitely get your home inspected. 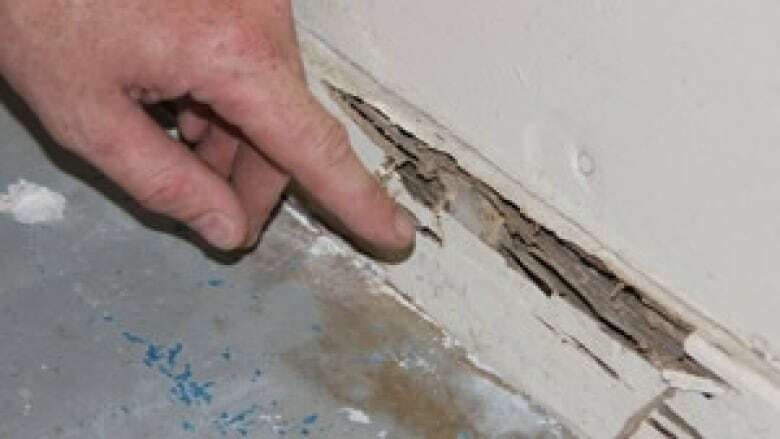 "You want to know before there's structural damage done, but yes, if one home is infested it's highly unlikely we're not going to see evidence of termites on the neighbours or beyond," he said. 3. How do you know you have termites? Shelter tubes: Subterranean termites can't survive without adequate moisture, so they use mud, or shelter tubes made from their feces and saliva to insulate themselves and as means of transporting themselves from underground areas to infested wood. Look for long, discoloured streaks on walls or trim, or insect feces piled up outside of holes in the wood. Damage: Infested areas indoors can cause wood to discolour or paint to blister and bubble. Outdoors, the insects can often be found if pieces of infested wood are turned over. Termites eat the cellulose found in wood. If left unchecked, they will devour all the wood, creating visible damage from hollow spots, seen here. Hollow spots: Termites eat the cellulose found in wood. If left to their own devices, the insects will eventually devour all the wood they have available. Knocking on studs, walls and trim can often reveal hollow spots where the insects have eaten away the wood. When looking for termites, start in the basement, Reynolds said. "That's usually where you see them. The way homes are constructed, there's multiple layers of concrete and wherever there are multiple layers of concrete there are hairline cracks." "So if it's perceivable to the human eye, termites can usually squeeze through it." 4. How much does it cost to remove termites? "Termite treatments for average size homes are generally going for $3500 plus," Reynolds said. "With that comes a one-year guarantee, we like to do an inspection within a year." Mark Reynolds, a termite specialist with Cambridge-based Tepeco Consultants, conducts a visual inspection of a suburban home infested with termites in suburban Kitchener. 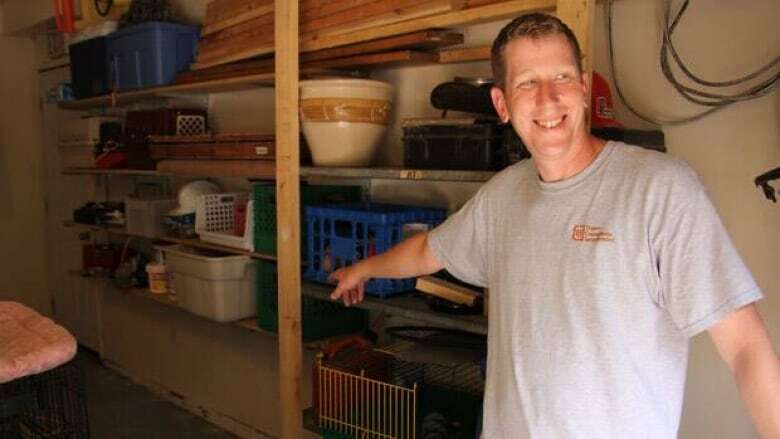 "The bigger the home, added difficulties like crawl spaces, drilling of decks, garages, asphalt, sidewalks, pulling up patio stones, all these things can add to the cost of the treatment," he said. Reynolds said the treatment doesn't include the cost to repair wood damaged by termites. 5. Should termite infestations be reported? All municipalities recommend hiring a professional exterminator, if a termite infestation is discovered. However Cambridge, Waterloo and Kitchener do not track addresses where the insects have been found. The City of Guelph has strict termite procedures for anyone living within one of the city's three termite management zones. All are located on the north side of the city, encompassing almost 900 buildings. Unless your home is located within one of Guelph's termite management zones, cities do not generally get involved unless the insects have created a structural issue within the home. Municipal governments require permits for structural repair to a home from damage due to termites.